What kid doesn't love to play ball? 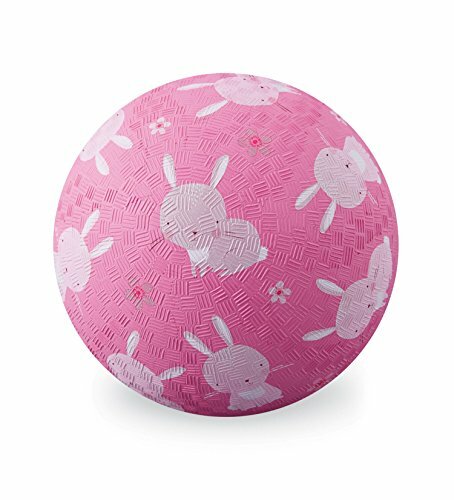 now they can play indoors and outdoors with this beautifully illustrated textured 7" bunnies Playball. Girls and boys ages 3 and up will love the pink ball with cute playful bunnies. It is made from natural and synthetic rubber and is PVC and BPA free. Perfect for camp, sports, and playground activities including kickball, dodge ball, and foursquare. Encourage your child to be more active with a Crocodile Creek ball!.